Please describe the concept of “MIST” in a nutshell? As the metabolites may possess toxicological effects, one has to make sure that the metabolites formed in human do not cause any unacceptable safety concerns. Therefore, it is essential to understand the metabolic profile of the compound, particularly in human. With this knowledge it is possible to investigate whether the animal species used in the safety assessment demonstrate similar major metabolic pathways and adequate exposure of the human metabolites (MIST analysis). Fortunately, most of the metabolites, with only low abundances in circulation, can be considered safe and do not cause any MIST issues. Still, human metabolites that constitute more than 10% of the total drug-related material are of concern, and the safety of these metabolites needs to be demonstrated in preclinical studies. In addition to differences between animals and human, it has to be considered that the metabolism may vary between, e.g. different genders or different populations. Some of the metabolites may be unique or produced at significantly higher levels in humans than in animals (i.e. disproportionate metabolite). Therefore, the selection of the used test species should be considered carefully. The MIST process therefore already starts with the in vitro metabolism (cross species comparison) studies and continues with various in vivo studies to characterise metabolite profiles, using both cold and hot compounds. By initiating the process in a timely manner, possible MIST issues can be recognised well in time and delays in drug development avoided. The MIST analysis per se is the in vivo exposure comparison work, where the drug metabolite exposure levels in human and in nonclinical animal test species are compared and evaluated to understand if the human metabolites are adequately covered in the safety animals. The work utilises plasma samples from repeated dose studies in human and the toxicity test species in such a way that exposure comparison can be performed without absolute quantification of the metabolites. This work enables identification of which, if any, metabolite is not adequately covered in the test animal species before knowing their absolute relative levels, or if they are >10% of total drug related material. Data from the MIST analysis provides information for the next steps of the MIST process. When should MIST analysis be done? It is highly recommended to initiate MIST evaluation as early as possible, also by the regulatory authorities1,2. The final MIST analysis should be performed as soon as human samples from clinical repeated dose studies are available. Samples from the most relevant animal PK/TK studies at the time of MIST analysis should be used for this purpose. 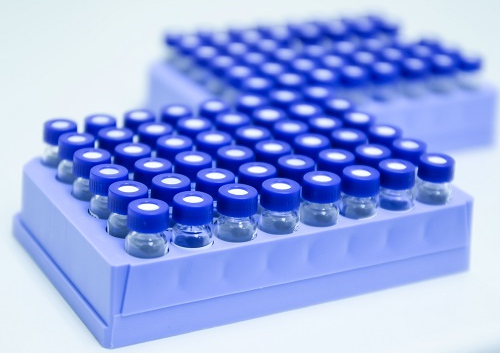 The aim of the analysis is to get an overview of potential unique or disproportionate human metabolites at an early stage. If a MIST issue (i.e. lack of adequate exposure of human metabolites of concern in safety species) is recognised at the later stage of the drug development process, it may cause significant delays. If MIST issues are observed precautions can be taken well in time. What if the human metabolite is not adequately present in the used animal test species? If that is the case based on the MIST analysis, the first thing is to understand if the metabolite is of concern, i.e. constitutes more than 10% of total drug related material. This can be evaluated in several ways depending on the pre-requisites of the drug project. Other steps are including an alternative animal test species, which expresses the metabolite adequately, or administration of the metabolite to existing test species. The approach depends very much on the properties of the metabolite. What about healthy volunteers vs real patients? The first MIST analysis is performed on samples from a MAD (multiple ascending dose) study, often healthy volunteers, which normally is the first repeated dose study available. Since the actual patients might have renal/hepatic/metabolic impairments, the human metabolite profile can and should be assessed also in patient samples, when available, to compare with previous human profile to identify discrepancies in metabolite levels that would initiate additional MIST analysis (i.e. comparison with animal test species). The same should be considered if polymorphic enzymes are involved in major metabolic clearance pathways, since in these cases large differences in metabolite profiles between the subjects may be observed. What is your take home message about MIST? MIST evaluation is a multi-step process with the purpose to increase confidence in the potential of having/not having a safety issue. The earlier the evaluation is started, the lower is the risk of delays in the drug development programme. Finally, in vivo plasma samples from test species (explorative and safety studies) and human should not be discarded before understanding their usefulness in MIST analysis and evaluation.